The form titles are needed to distinguish the forms. Edit three different types: form title, short form title and list title. 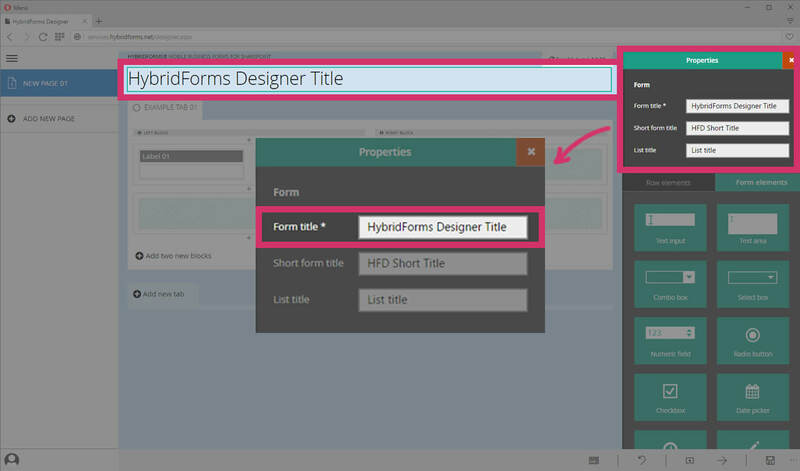 Depending on the resolution and the orientation of the device, the form title or the short title will be displayed. The list title is displayed on the dashboard. 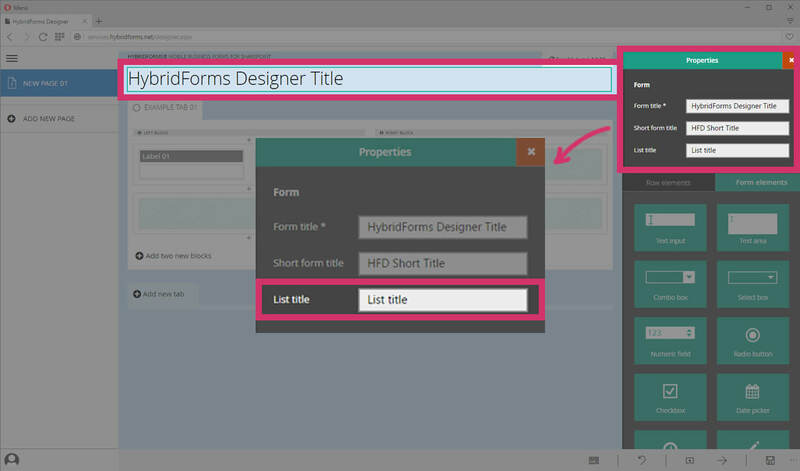 Specify a descriptive form title for each template to make it easy for your users to differentiate between the different forms. 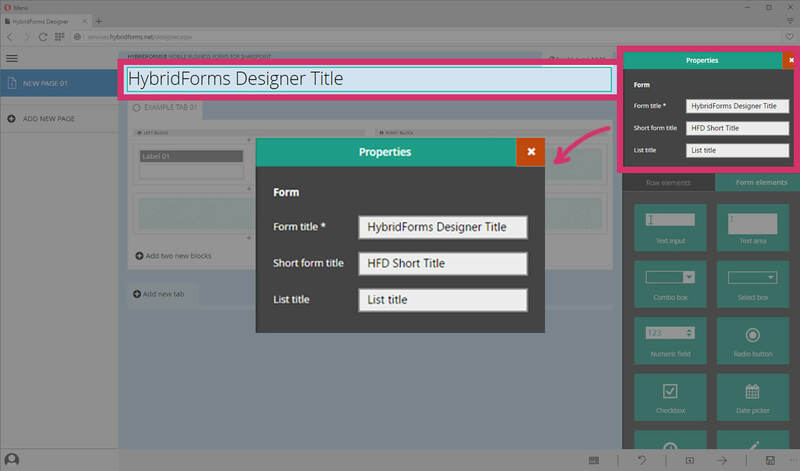 Edit a form title by clicking on the preset entry – then the properties section will open. 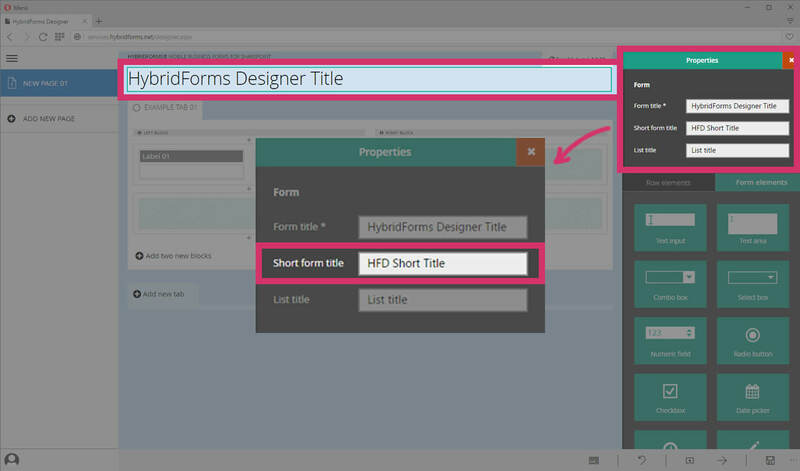 The [List title] is used to differentiate the different form templates on the dashboard.